Posted on February 21, 2018 by Steve Clifton. Split Screen is a new series of articles focusing on two films that pair well together as a double feature. The connection could be anything – themes, style, cast, or maybe a combination of many things. The films I select will be those I generally consider to be very good. I’m in no way suggesting you should feel the same. The subjective nature of cinema, or any art, is what makes conversations about it so provocative. The objective is to spur conversation. Tear apart my kooky analysis, or shower me with praise for opening your eyes to new ideas. At the very least, maybe I’ll add some good flicks to your cinematic radar. Cineplexes fill up with fans eager to engage in the latest Fifty Shades of Penthouse Forum film, and streaming services load up the greatest hits from Ryan Reynold’s early ‘aughts iMDB page. But, for our purposes here, I’m going to focus on the antithesis of Valentine’s Day… the relationship gone bad. Call me the anti-cupid. 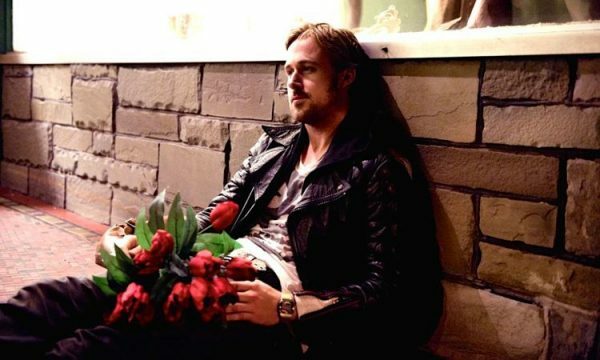 Blue Valentine cross-examines the relationship between married couple Dean (Ryan Gosling) and Cindy (Michelle Williams). Bouncing timelines back and forth between the early stages of exciting, youthful romance, and the tumultuous road to dissolution, the film pulls no punches in exposing the harsh realities of broken love. Staying focused strictly on the relationship, and how each action shapes its direction, allows the film to breathe naturally. As Dean and Cindy’s marriage becomes increasingly combustive, we feel the rawness of the emotional strain tugging at them. We are given just the right amount of exposition to acquaint us with both characters, helping us understand the impact each of their actions has on the overall relationship. In the end, there’s no way for the audience to dodge the inevitable heartbreak, even though we can see it forming throughout the film. Take This Waltz centers on another doomed marriage, but takes a different approach to getting there. Here, Margot (Michelle Williams) and Lou (Seth Rogan), gradually become distant partners. Lou, oblivious to Margot’s feelings of boredom and loneliness, is focused mainly on creating a chicken cook book. Margot just wants to find the fire that once burned in her relationship. Enter the good looking, single neighbor Daniel (Luke Kirby); a bit of a wolf in sheep’s clothing, capable of turning on an innocent charm just effective enough to lure the vulnerable Margot. Daniel is a master of manipulation, constantly planting seeds to entice, but always leaving Margot to make decisions for herself. The film takes the infidelity trope and bends it by focusing on the female as instigator. Doing so feels refreshing compared to the usual patriarchal charlatan character that often accompanies stories in this genre. By the end of the film we are left with deeply flawed characters with honest feelings of regret and remorse. It’s an expose of human nature and the need for acceptance and intimacy, turning a lens on the consequences of acting on those needs outside of the marital union. It’s sad to see two people who clearly have feelings for each other fail because of their inability to provide the emotional support an effective relationship needs to succeed. The prevailing theme in these films is relationships, and the tenuous line between succeeding and failing in them. Even though we get to essentially the same place by the end of Blue Valentine and Take This Waltz, our couples take very different paths to get there. It’s hard to determine which film feels more authentic to our preconceived ideas on modern relationships, because both manage to feel like plausible scenarios. I’m guessing we all know people who have separated due to irreconcilable differences (Blue Valentine), or due to infidelity (Take This Waltz). And I’ll wager that we’ve taken sides in each of those instances. What’s unique about these two films is the way in which the characters are fleshed out, making it difficult to choose who to feel most empathetic towards. Even actions we cannot condone at least can be understood from a perspective of what instigated those actions. By the end of Blue Valentine we’re leaning more toward #TeamCindy, due to Dean’s progression into booze and aggression. But Dean is also very clearly in love with Cindy- wanting to do the right things to earn her affection and trust- yet can’t quite get out of his own way long enough to succeed at it. Instead of trying to win back Cindy, Dean focuses his attention on trying not to lose her, which proves futile. In Take This Waltz, we can hate more easily on Margot since she is the one that strays into another man’s bed, but Lou is so ignorant of his lack of attention to her that we can at the very least understand the frustration that led her down that road. Just like many real life relationships, the lack of communication is what ultimately dooms Margot and Lou. Her passive aggressive hints at needing more from Lou just fly over his head. Both films feel like a gut punch in the end. We generally want to see both relationships succeed, but each fall into familiar couples traps that prevent a happy ending, just as they often do in real life. This makes each film relatable. On the surface, Cindy and Margot might have a lot of similarities, but Williams adds subtle personality quirks to each character, making them unique to each other. Cindy has spent her life trying to overcome her father’s demanding aggression. She has a history a poor relationships, or at least one that we know of. It stands to reason she’s going to keep falling into similar circumstances because it’s what she knows. But Williams plays Cindy with a self awareness that at least keeps her trying to make the right choices. Dean has a lot of moments signaling he is a good and decent man. But every so often, he presents himself in ways that align a bit too close with what Cindy is trying so desperately to avoid. Every frustration and regret has etched itself on Williams’ face, and the look of defeat in her eyes is haunting and sad. Margot’s backstory isn’t as neatly fleshed out as Cindy’s, but based on her current arrangement, it could be reasonable to think she comes from a much more stable upbringing. Here, Williams still manages to convey frustration and sadness, but with much more of a mischievous tone. Her sad, lonely eyes are at once defeated and contemplating. Margot has a secret, and Williams gives just enough to be both confident and nervous as she exists in her double life. What is “the moment?” It’s the scene in the film that most resonates, at least for me. It could be revealing subtext or providing the “aha” moment in which we connect some of the narrative dots. Or, it just might be a cool scene that stands out regardless of specific motives behind it. In Blue Valentine, it was a point of no return for Dean and Cindy. Frustrations had been bubbling up throughout the film, tensions were at a peak, and Dean’s self destruction crosses some lines from which he cannot return. Dean, angry and drunk, shows up at the hospital where Cindy works and causes a scene. It signifies a final nail in the coffin of this doomed marriage, and both Gosling and Williams are at their best. In Take This Waltz, the moment signifies everything that presumably crosses the minds of two people engaged in forbidden love, without one word being spoken. Margot and Daniel are on an amusement park ride called The Scrambler. As they whirl around, so many different expressions come across their faces; joy, sadness, melancholy, and even regret. In the end, it’s hard to tell which of these moods wins out. How do you feel the dissolution of relationships in these films is shaped by the perspectives of the writer/director, one of whom is male (Derek Cianfrance, Blue Valentine), and the other female (Sarah Polley, Take This Waltz)? 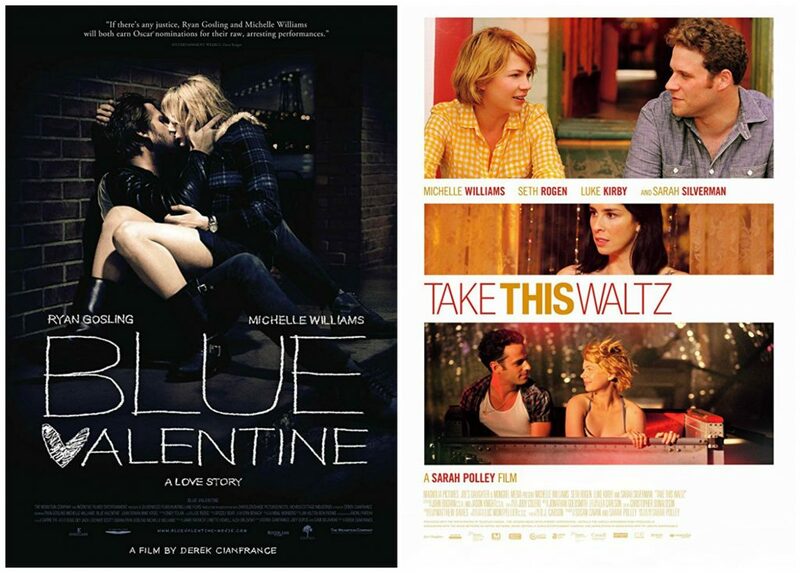 Blue Valentine and Take This Waltz share a lot of similarities but are uniquely different experiences. Each offers a different perspective on how a relationship might struggle and ultimately fail, but neither is afraid to explore the harsh truths that come with it. Each film is helped by great writing and directing, and a top notch cast willing and able to express deep emotions and vulnerability in order to bring their stories to life. This isn’t meant to be a deep dive analysis at hidden subtext in these films, just some insights to ponder and discuss. Let me know if you have seen either of these films, and if you agree or disagree with anything I’ve said. 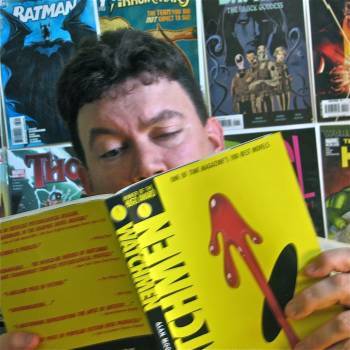 STEVE CLIFTON has been writing moderately well on the Internet at this blog, Popcorn Confessional, for the better part of the last decade. His love for movies can be traced back to the North Park Cinema in Buffalo, NY circa 1972, when his aunt took him to see Dumbo. Now living in Maine, Steve routinely consumes as much film, television, and books as time will allow. He also finds time to complain about winter and Buffalo sports teams. He is a big fan of bad horror films and guacamole, and is mildly amused by pandas.